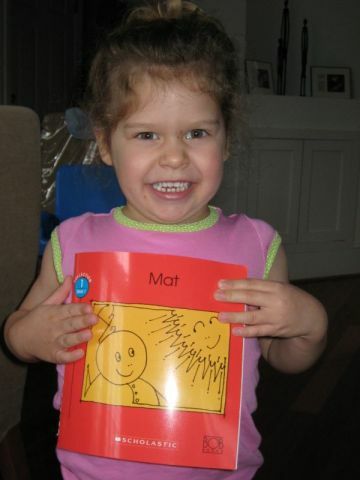 Mara hit a milestone today by reading her first book ever! She has been making a lot of progress on her letter sounds, and also at sounding out words. She will often do some of it by herself. She has gotten to the point that sometimes she will read a word on her own while we are out and about, or even recognize some simple words quite readily. Perfect. She sounded the words out and did it all.